Student Affairs fosters the developmental, educational, and professional goals of students in an environment that encourages campus and community engagement, healthy decision-making, and responsible citizenship. Student Affairs strives to provide individualized attention to our students. 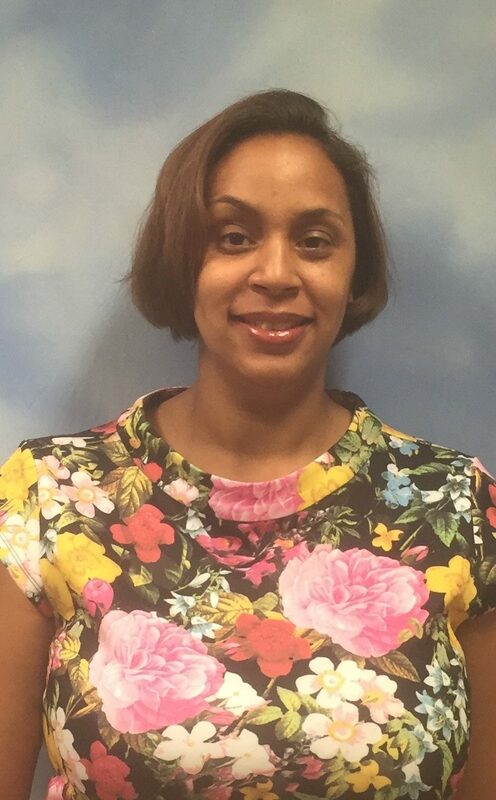 Dean Van Der Wall has “Drop-In” Hours every Monday from 12:00 PM – 2:00 PM during the academic semesters in the Student Affairs office, C-212 (right next to the Fishbowl) – no appointment required. If you have a problem, question or concern and you’re not sure where to go, the Dean of Students office is a great place to start! The Dean of Students has an Instagram Account?? Add: @rcnj_deanofstudents to find out what’s happening in Student Affairs, as well as learning some interesting tidbits about Dean Van Der Wall! 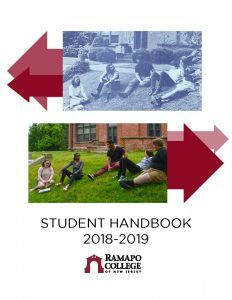 Purpose Statement: The Traditions Council at Ramapo College, charged by the Division of Enrollment Management and Student Affairs, is a group of students, faculty, staff, alumni, and retirees who are committed to preserving Ramapo College traditions and fostering new traditions. Ramapo College’s symbols and traditions are activities, which are passed down from year to year, that have academic, celebratory, symbolic or historic meaning. Traditions are defined as symbols and activities that are unique to the Ramapo College experience. Formed in 2016, the Name Committee is representative of faculty, staff, and students and they work toward bringing awareness and understanding to name assignment concerns from an international, transgender, faith and spirituality, legal, family dynamic, and other related perspectives. In recognition and support for students who use a name that may differ from their legal name, the Name Committee’s goal is that all members of the College are recognized, included, and have an avenue to self-identify. The work of the committee furthers the College’s goal toward having trans-culturally responsive practices and acknowledges that name assignment issues stem from gender identity, cultural background, and a variety of other social issues. Some students identify themselves with names that are not matching those on the official Registrar roster and college forms. This is very common for students who are transgender or gender variant in some way, although there are many other reasons why an individual may have a name that does not match the legal documents. After approval from the Dean’s Council in August 2017, the Name Committee implemented the use of a Name Used Advocacy Letter. Through the Dean of Students Office, a student can submit a request that their professors, advisers, coaches, residence hall staff, among other campus partners be communicated with to disclose what the student’s used name is. This practice helps faculty, staff, and other students serve as an ally and advocate by utilizing the student’s used name and pronouns in practice. The committee has offered professional development on these important issues to both faculty and staff. In the fall semester, all faculty receive a training document created by the Name Committee entitled “What In a Name?” Some students indicate that being mis-named and mis-gendered is a source of anxiety and creates an environment in which it is more of a challenge for them to learn and focus on academic material. The “What’s In A Name?” training document was designed to help faculty continue to maintain a positive and affirming environment where all students are welcome. In January 2018, the Name Committee offered in-person training related to faculty and staff through Human Resources Learning and Development “Lunch and Learn” series. And, the Honorable Judge Paul Vichness joined us for a workshop on how to legally change one’s name. The workshop was followed by a panel of Ramapo students and staff who discussed their own name assignment issues, challenges, and talked about how others at the College can support them. Some members of the Name Committee have chosen to include their used pronouns in their e-mail signature as a way to help build inclusivity, bring awareness to gender identity, and to reject assumptions and judgments. Including our used pronouns on our e-mail signature takes away the guesswork. The goal of adding used pronouns to one’s e-mail signature is to lift society from operating in assumptions and to punctuate how important using one’s correct pronouns is to our community of learners. Faculty, staff, and students are encouraged to update their e-mail signatures. Faculty and staff are encouraged to invite employees to order nametags that include their used pronouns. The College has the right to issue an Interim Suspension when the student engages, or threatens to engage in behavior(s) which pose a danger of causing harm to others, or when the student exhibits behavior(s) that renders him/her unable to effectively function in the residence areas and/or the College, or when the student exhibits behavior(s) that significantly interferes with the educational pursuits and/or living environment of others. When a student engages in or threatens to engage in such behavior, the most effective emergency response to protect the health and safety of the student and the community may be to require the student to leave the campus for a period of time. 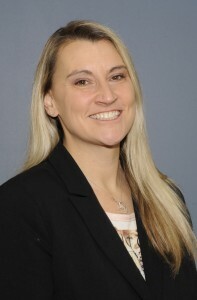 While an Interim Suspension is in place, the College will gather information and investigate the allegations(s) in order to make an individualized assessment of the risks posed by the student’s reported behavior and whether those risks may be mitigated to protect the health, safety, and learning environment of others. For the complete Interim Suspension Policy, click here. Where do I go if I have been issued an Interim Suspension? When you are Interim Suspended, you must vacate the campus. In cases when you are incapacitated (unable to act on your own), your emergency contact person is notified by the On Call Administrator. What if I am present on campus and violate the terms of the Interim Suspension? You will be considered trespassing and will be subjected to arrest by the Mahwah Police Department. The violation will be referred to the Office of Student Conduct. You will likely face on campus disciplinary charges and may also face charges through the Mahwah Municipal Court. What if I need to obtain clothing, books, medication, and other essential personal items from my residence room while I am serving an Interim Suspension? You need to contact Public Safety via phone at (201) 684-7432 to make arrangements to come to campus to gather any belongings from your residence. Do not come to campus without making prior arrangements. Am I able to attend classes when I am Interim Suspended? No, when you are serving an Interim Suspension, you are not permitted to physically attend classes. You are banned from entering the campus. Can I complete my coursework remotely? You may reach out to your faculty and ask if you may complete coursework electronically or by others means that do not require you to be present on the campus. The decision to accept coursework is under the purview of the individual faculty member who oversees the course material. The faculty member may refuse your request as faculty members are not obligated to accommodate you under these circumstances. Does your office notify my professors that I will be missing class? Our office does not normally notify professors that you won’t be to class. It is your responsibility to make contact with your professor(s) and let them know that you will not make it to class. If your Interim Suspension requires you to be absent for a prolonged period of time due to further investigation, etc. the Dean of Students or designee will notify your Faculty members. Will the Interim Suspension go on my permanent transcript? An Interim Suspension is not a form of punishment; it is not a finding of guilt within the campus code of conduct and is not part of your permanent record. Depending on the circumstances, an Interim Suspension may lead to the initiation of disciplinary proceedings on charges that you have violated the Code of Conduct or in the event of a Title IX related matter, it may lead to a Title IX investigation (See Sexual Misconduct Policy). Who do I contact to set up an appointment for an Interim Suspension hearing? You should contact the Student Affairs Office at (201) 684-7457. The college will schedule the appointment within 5 days from the date you call for a hearing. Interim Suspension hearings are normally scheduled Monday through Friday from 9am to 3pm (the College is closed on Fridays during the summer months). Should I bring my parents/guardian/lawyer to the Interim Suspension hearing with me? What can I expect will happen at the Interim Suspension hearing? You can expect to meet with the Dean of Students or designee. You will discuss the incident that led to you being served with an Interim Suspension from campus. The Dean of Students or designee will issue a decision within 3 business days of the Interim Suspension hearing. In some circumstances, you will pose or may pose a threat and therefore you may not return to campus as a whole before a College Disciplinary Review Board or Disciplinary Conference takes place; or you may not be permitted to return to the residence areas of the campus before a College Disciplinary Review Board or Disciplinary Conference takes place; or you may be subject to a Title IX investigation process as published in the Sexual Misconduct Policy Governing Students. What if I want to withdrawal and not schedule an Interim Suspension hearing? You may withdrawal from classes without scheduling an Interim Suspension hearing, but it is important to remember that your Interim Suspension will remain in effect and you will continue to be banned from campus. You will be subjected to the disciplinary process or Sexual Misconduct Policy Governing Students whether you are a current student or not. In most cases, the form is completed and sent to transferring school within 48 hours of the date it’s been dropped off.